The Bayshore Marathon is an annual spring run up the Old Mission Peninsula, one of the world's most beautiful marathon settings, that attracts more than 7,000 runners from around the nation and world. 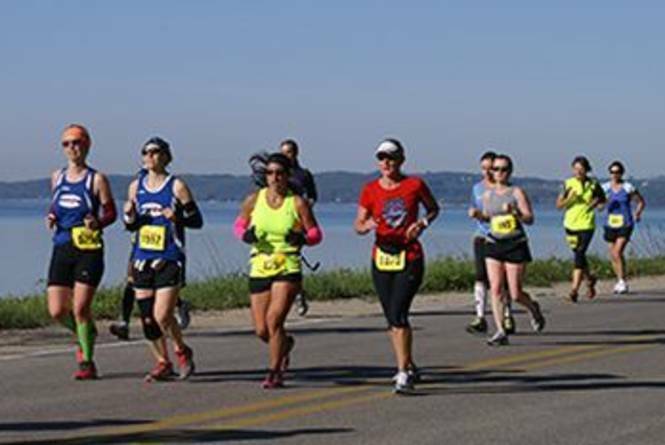 Many runners return year after year to enjoy the scenic courses which run along the shores of beautiful Grand Traverse Bay. Hosted by the Traverse City Track Club, the Bayshore features a 10K, half marathon, and full marathon. The Bayshore Marathon begins at the Northwestern Michigan College Cedar parking lot and finishes on the track at Traverse City Central High School. To sign up for the Bayshore Marathon, please click here.